Erica Antoine is living the dream these days. 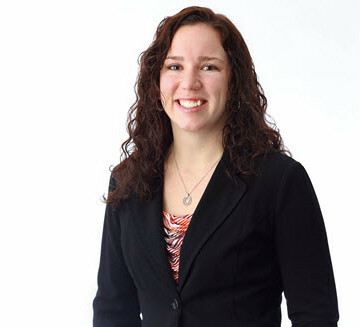 She is a project engineer for Burns Engineering Inc. and by age 30 already has several major transportation projects in Philadelphia to her credit. It wasn’t always her dream, though. 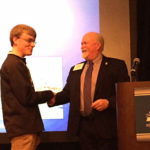 “I feel like I fell into engineering and the transportation industry just by – I don’t want to say ‘luck,’ but it certainly wasn’t something I planned,” said Antoine, P.E., M.ASCE. 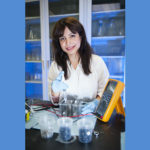 For the past several years, she has channeled some of her enthusiasm into helping young women plan ahead for their own careers in engineering. Antoine helped found WTS Transportation YOU in 2007, a hands-on mentoring program using STEM curricula to introduce young women to different transportation careers. She also volunteers with several programs in the Philadelphia area that help female students realize their civil engineering dreams. “I’m definitely a huge supporter and advocate of telling my story and encouraging young women to explore different engineering opportunities out there,” Antoine said. 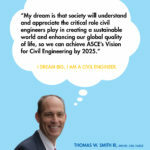 Antoine shared her dream of inspiring young women to become civil engineers as part of her entry in ASCE’s Dream Big contest, open to Society members through Feb. 1, 2016. In celebration of the forthcoming giant-screen movie Dream Big: Engineering Wonders of the World, the contest offers three grand prizes: a trip for two to an international location shoot for Dream Big, a trip to Laguna Beach, CA, for an exclusive early screening of the film, or a gala Dream Big movie premiere hosted by the winner in their community. Members are asked to submit a “dream” that being a civil engineer has helped them achieve, although it is not required for the contest entry. Growing up, Antoine always liked tinkering with things. She had a job at an auto parts store and enjoyed working on cars. She had a high-school physics teacher who helped put the engineering idea in her head. But she didn’t necessarily have a direct connection to what a career as a P.E. might look like, or, maybe more importantly, what she might look like as a P.E. That role includes vital work on a regional rail line, as well as project leadership responsibility for a bus loop, a major sewer-maintenance facility, and the Keystone Corridor railway. And the mentoring connections have lasted. Some of the girls who met Antoine when they were in middle school remain in touch, asking for advice about college civil engineering programs or help with their applications. ASCE is producing Dream Big: Engineering Wonders of the World in association with MacGillivray Freeman Films, with the Bechtel Corporation as presenting sponsor. It is scheduled to premiere February 2017 in IMAX and other giant-screen theaters nationwide.